In this piano tutorial we're going to learn how to play this song which has only four chords and a repeating groove. However, we're going to create different variations of the groove which is going to make it really interesting. 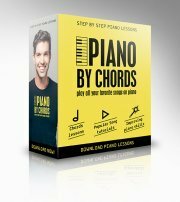 Under this piano tutorial you'll find a piano tab that will show you how to play the song exactly as shown at the beginning of the piano tutorial. Click here if you haven't signed to Piano Playground, our free E-zine yet make sure you do that in order to get the user-name and password codes for the free piano tab I provide here under. 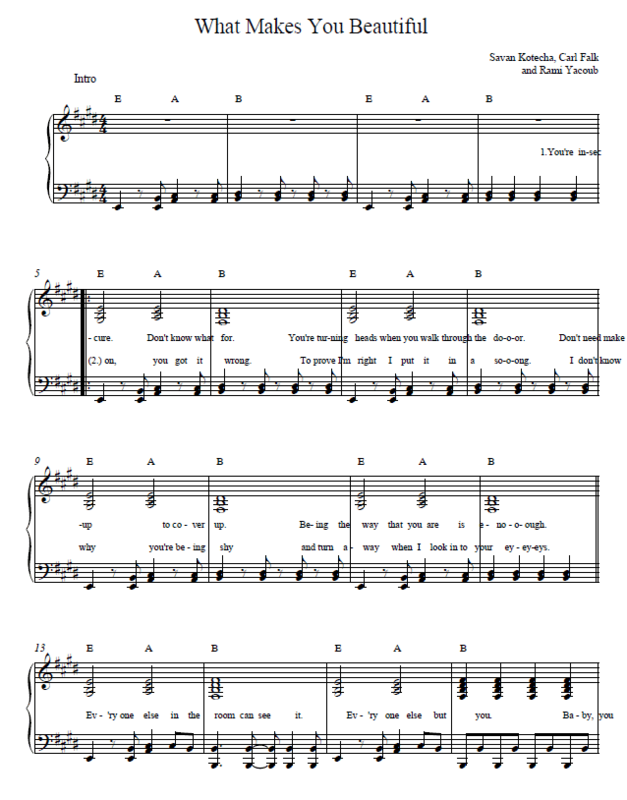 Here's the "What Makes You Beautiful Piano Sheet"..